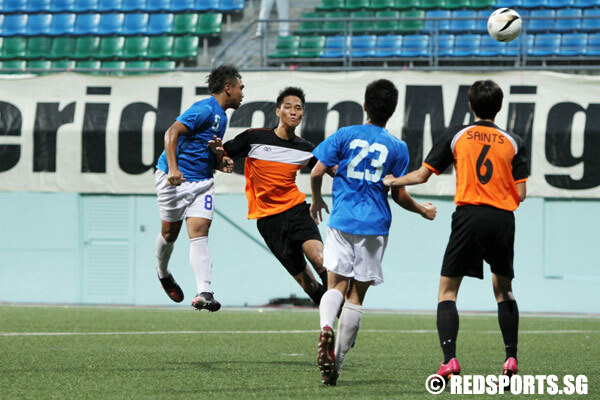 Jalan Besar Stadium, Wednesday, May 23, 2012 — Meridian Junior College (MJC) successfully defended their National A Division Boys’ Football Championship title after defeating St Andrew’s Junior College (SAJC) 2-0 in the final. 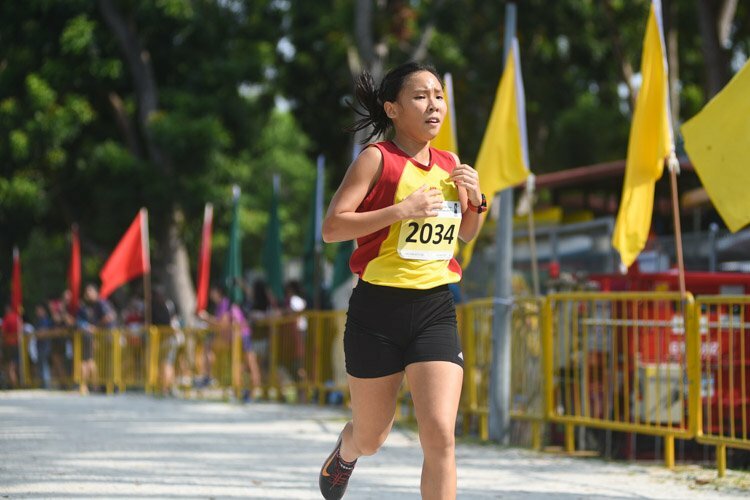 Seven MJC players have played in the squad since 2010 and it proved to be the difference, as they played with more fluency than their less experienced opponents to win their third consecutive title. Mohamed Amsyar B Omar Abdullah had a Man-of-the-Match performance as he came off the bench in the 30th minute to score a brace in the second half. The 19-year-old forward was not in the starting line-up due to a serious shoulder injury from a previous match. 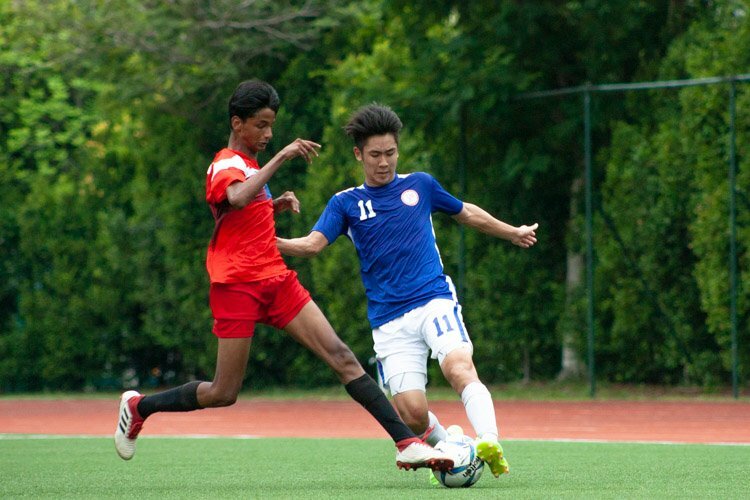 However, he proved to be the spark that MJC needed to break down a resilient SAJC defence. Both teams started the match with a lot of determination and verve, with heavy tackles being the main feature in the opening exchanges. The ball was quickly gained and lost in the middle of the pitch as both teams attempted to exert their control on the match. They were so evenly matched that hardly a chance was created until the 30th minute, when SAJC won the ball near the edge of the box. 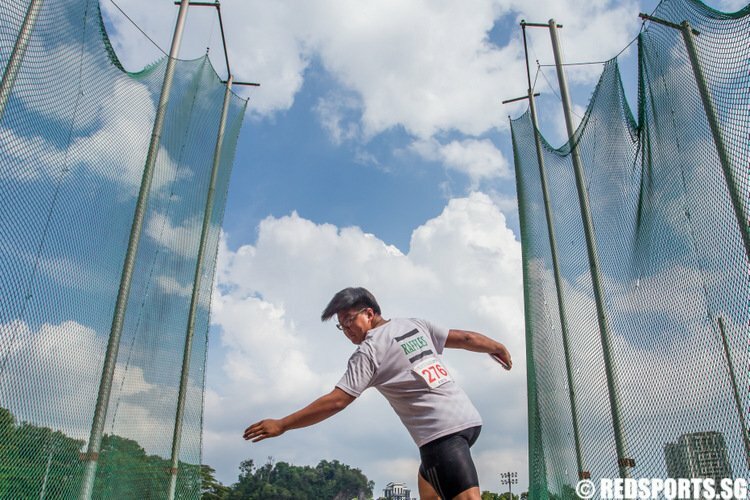 However, Esmond Phua unleashed a shot that went over the crossbar. It was the first shot of the game. Frustrated by his team’s performance, MJC Coach Fabio da Silva made a tactical change in the 32nd minute by substituting Merritt Chua with his talismanic forward Mohamed Amsyar (#8) to play off target man, Md Hairi Bin Alias (#23). His bold move almost paid immediate dividends as Amsyar set himself up for a shot at goal as soon as he got the ball. In the 35th minute, Md Hairi again created a chance for MJC by linking up with Syabil Anwar B Badrul Hisham who could only shoot weakly at the grateful arms of SAJC Goalkeeper Gabriel Teo. That was the most significant play yet as the score remained goalless at half-time. MJC continued to dominate the game after the break. 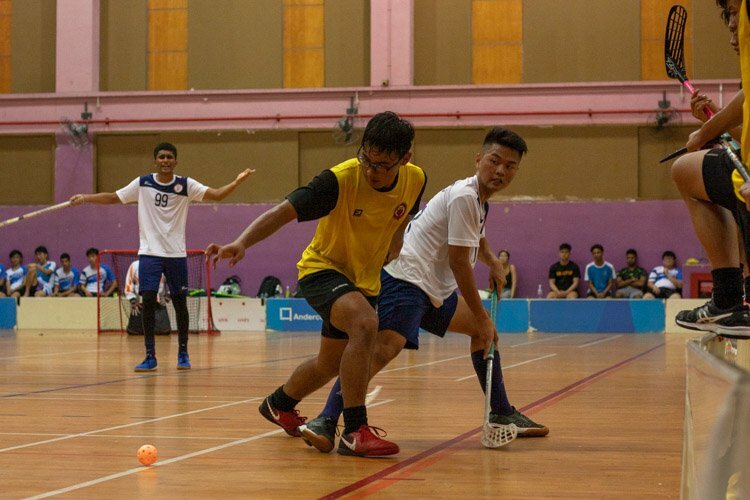 Md Hairi proved to be a handful for the SAJC defence as he danced his way into the box before squaring it to Syabil Anwar again but Syabil’s scuffed shot was blocked off the line. MJC were already on the ascendency and it seemed like a matter of time before MJC would score. At their next chance, Amsyar opened the scoring. 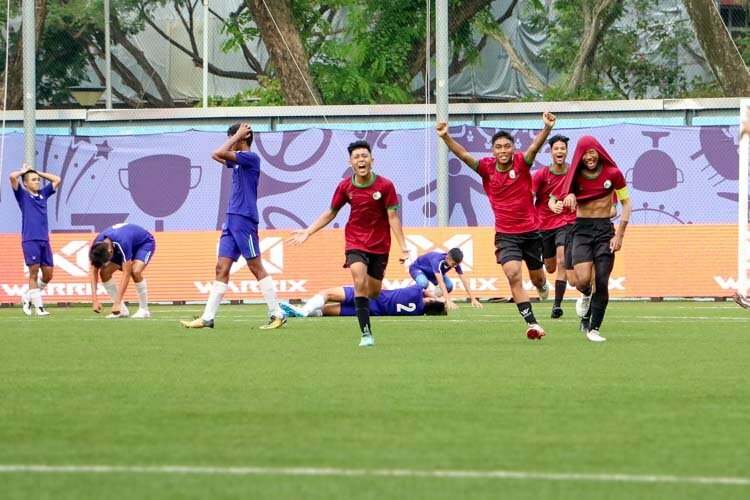 Six minutes into the second half, from a throw-in deep in SAJC’s final third, the ball was floated into the box for Amsyar to head it into the bottom left corner of the goal. SAJC keeper got a hand to it but it was too powerful to be kept out. 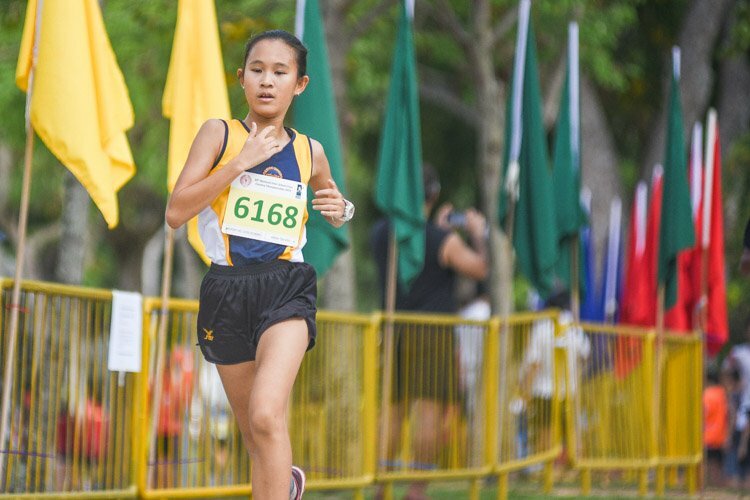 SAJC began to up their tempo in an attempt to get back into the game. 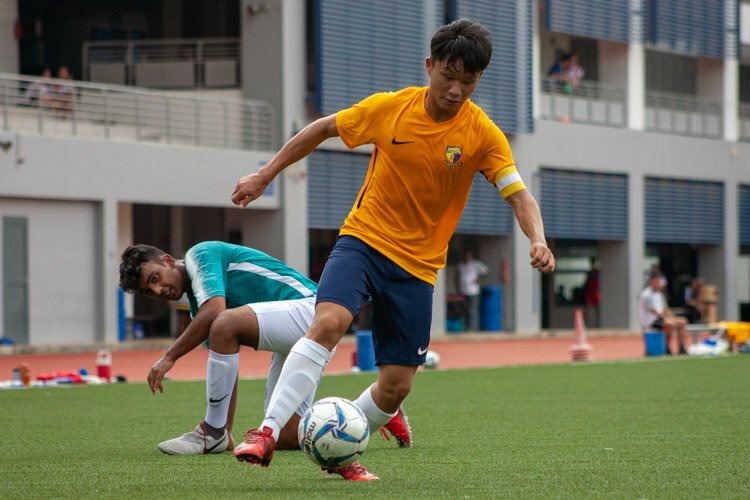 Tan Jin Cheng (#22) was substituted in for Bishesh Sherchan (#4) as SAJC freshened things up. 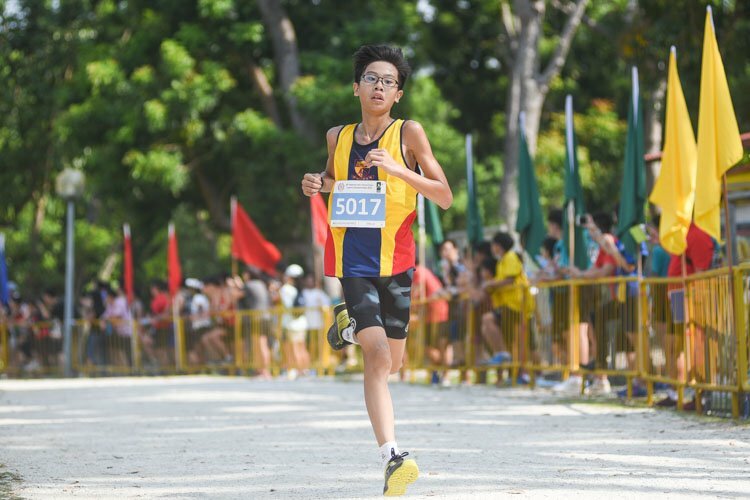 A great run by SAJC’s Shamir Robinson (#20) on the right wing was wasted as his cross was cut out by goalkeeper, Daniel Lightfoot, the elder sibling of Singaporean Youth Olympic Games footballer, Jeffrey Lightfoot. Then, came the sucker punch on 51 minutes. 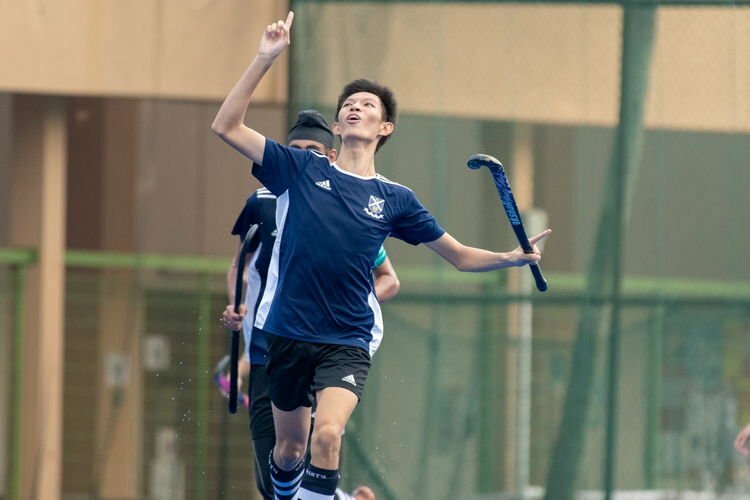 It was typical route one football, as Daniel Lightfoot’s long goal kick found the head of Md Hairi, who flicked the ball on brilliantly to put Mohamed Amsyar through one-on-one with the keeper. He made no mistake in front of goal to put MJC 2-0 ahead. Md Hairi continued to create problems for SAJC. His header from a free kick had the keeper beaten in the 63rd minute but the SAJC defence quickly cleared it off the line. 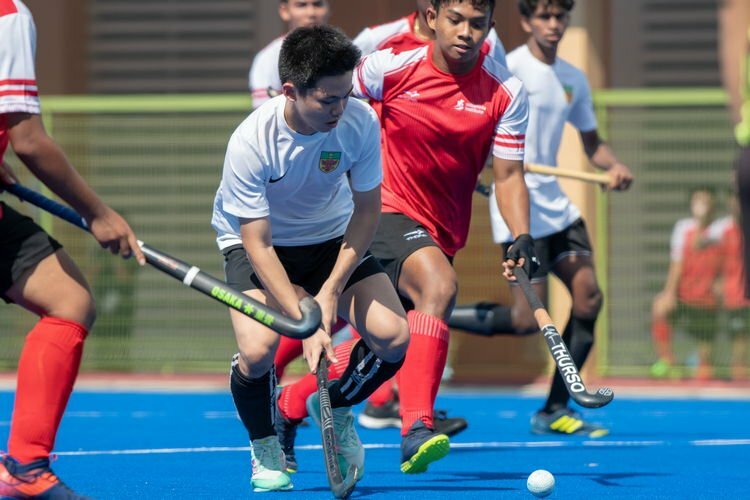 SAJC’s sporadic forays into MJC’s half often ended with disappointment as the forwards hesitated for too long, giving the MJC defence time to make their tackles. Tan Hong Ting (#23) then put Joel Lim (#9) through on goal seven minutes from full time but he could only shoot off target with only the keeper to beat. 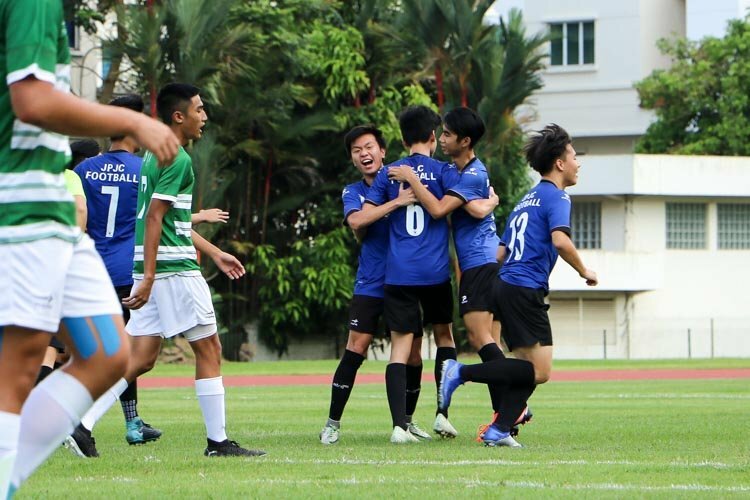 That proved to be SAJC’s best chance to get back into the game as MJC saw out the rest of the match to comfortably seal their third consecutive championship. 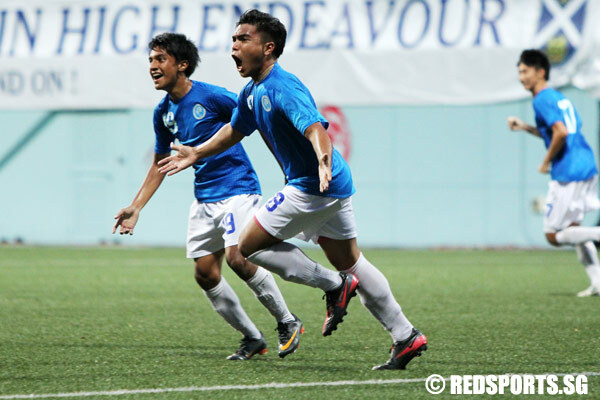 An elated Mohamed Amsyar was grinning from ear to ear as he related his second goal.